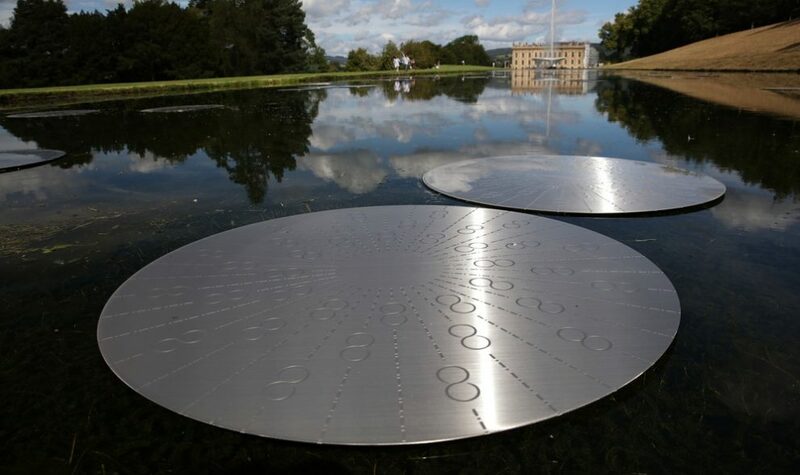 Invited by Sothebys to exhibit in the 2016 and 11th edition of Beyond Limits, Munro created ‘Time and Again’, a work comprising 108 etched steel lilies afloat in the Chatsworth House Canal Pond. This work stems from a return visit Munro made to Uluru in 2016, and his realization of being in the same place 24 years before yet the rock, seemingly unchanged. The artwork follows Munro’s interest in the concept of time and is a personal reflection and appreciation that “time present“ is linked to a significant past and an as yet undefined future. 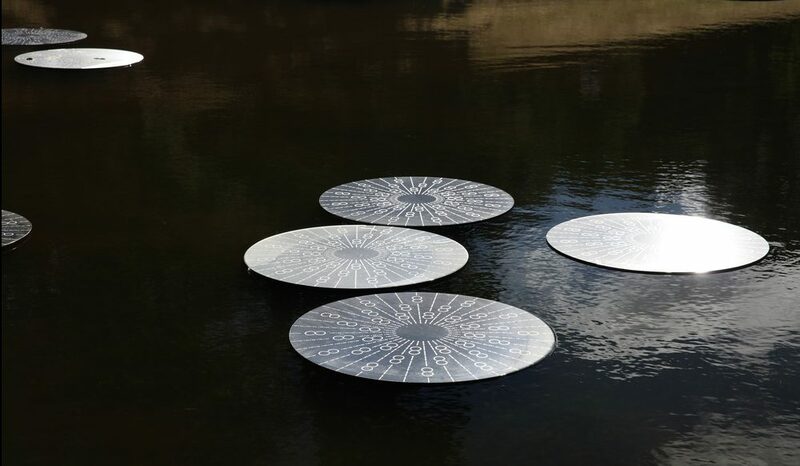 Each lily is etched with the Morse code for C, the speed of light and the infinity symbol. 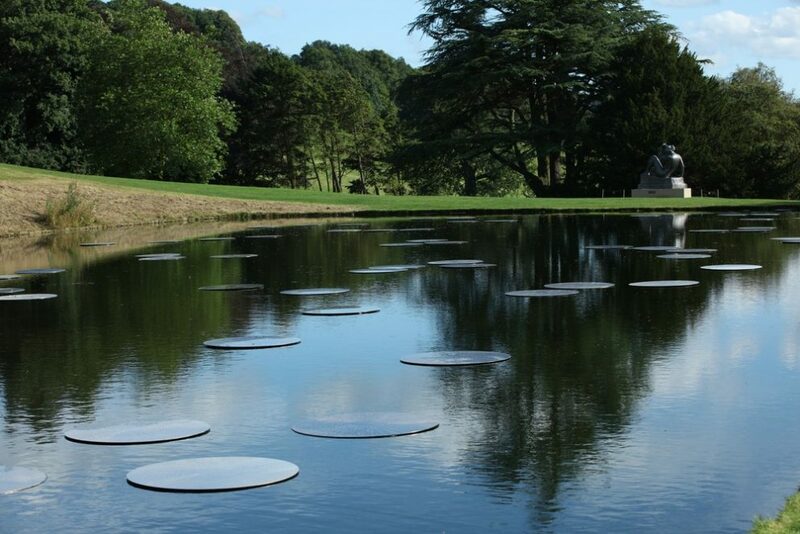 The work is also synonymous with the history of Giant Water Lily cultivation at Chatsworth House, lilies being a theme in Munro’s past works.